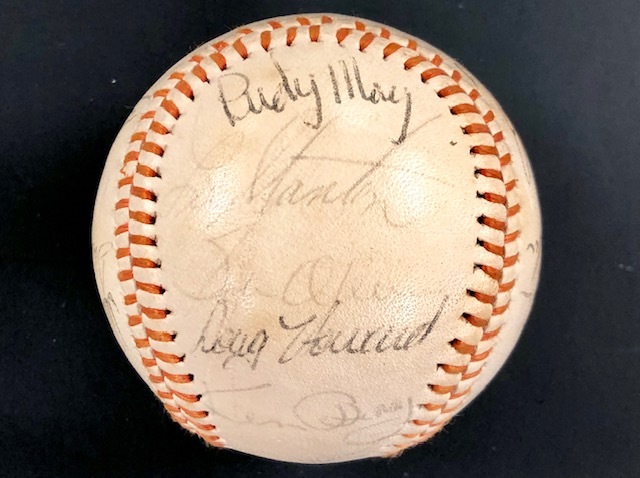 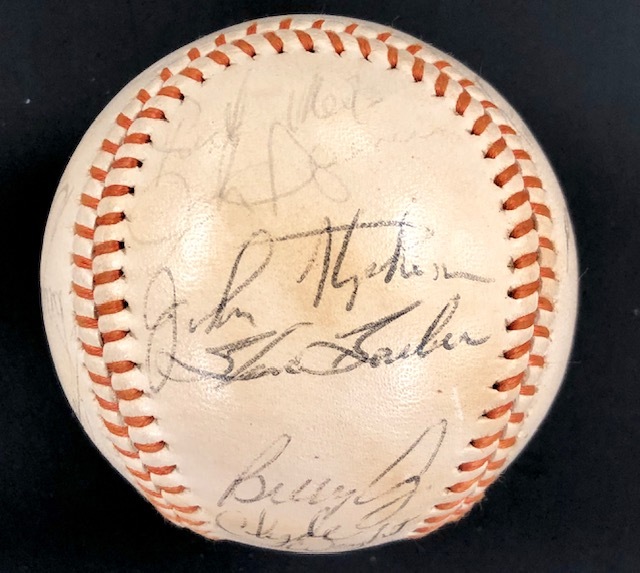 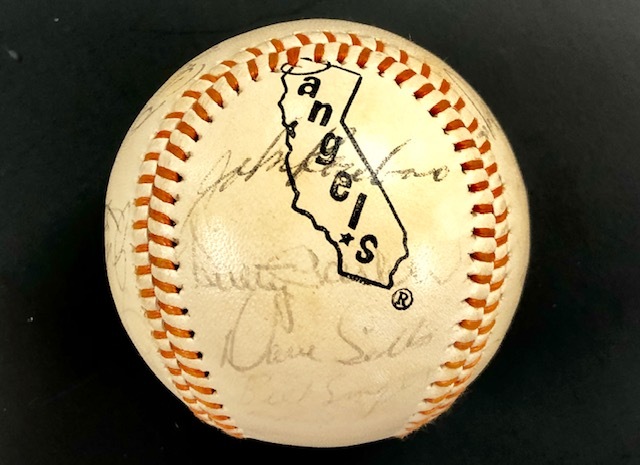 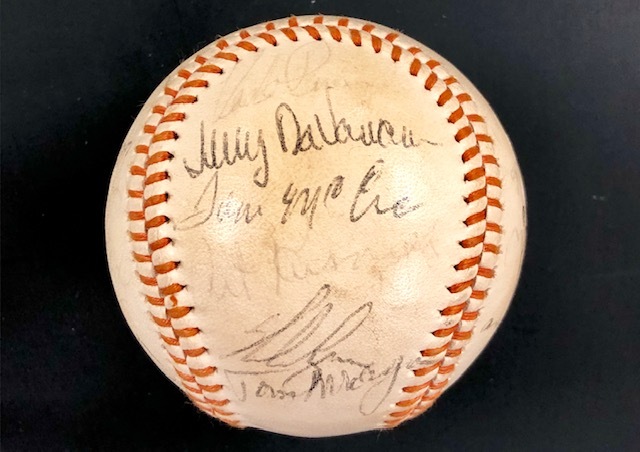 This baseball is signed by 22 members of the 1973 California Angels, including:. 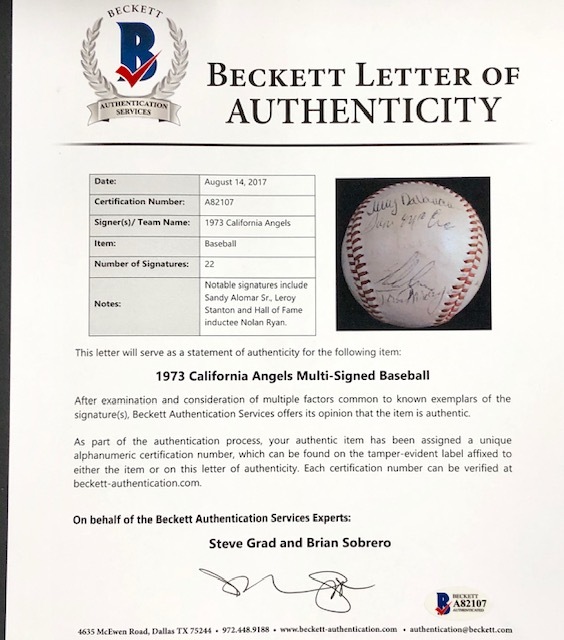 The baseball comes with a full Letter of Authenticity from Beckett Authentication Services (BAS). 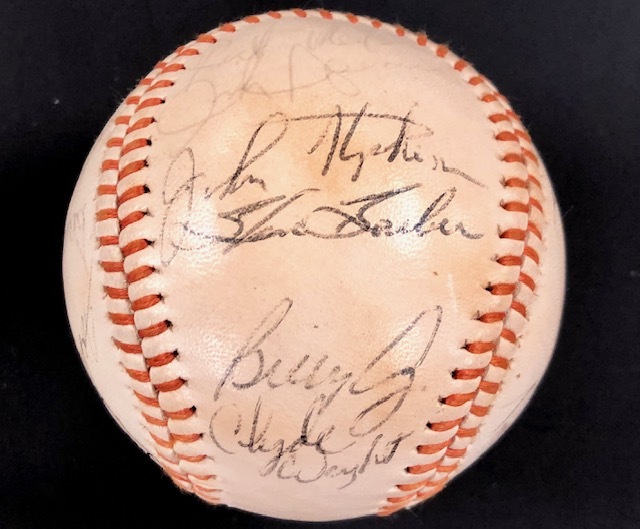 You can choose Pickup during Checkout to pickup your order at ou1r Anaheim store and pay no shipping cost.